parisfrance.us – Paris, France – linkparis.com’s blog all about Paris, France. Welcome to ParisFrance.US a resource for travelers heading to Paris, France. Find the best of Paris here! Unbiased reviews and information on all Paris has to offer. Each page includes a link to the official website for that hotel, restaurant or attraction. Some hotel pages have an additional link to the booking page of LinkParis.com. Feel free to compare rates! Feel free to leave a comment about any of the hotels, attractions or restaurants on this site. ParisFrance.us is the companion site to LinkParis.com. Both sites offer the best of France! Be sure and check out our day trips from Paris to such places as Mont St. Michel, the Normandy D-Day landing beaches, the Loire Valley, and much more. 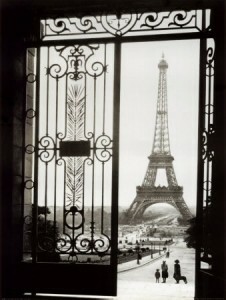 LinkParis.com also offers great Paris Adventures like Paris cooking classes, wine tasting, a private Paris car tour and more. Slowly, but surely, we are moving all of out hotel reviews over to our new website FranceHotelBooking.com. The website is our newest venture and we are very excited about it. Search our detailed map of Paris.